Educated at Jilin University in China and Cambridge University, Dr Zhen Ye joined 3PB as a pupil barrister in October 2018. She is fluent in English and Mandarin Chinese (mother tongue) and proficient in Cantonese Chinese. Zhen was a Dispute Resolution and Litigation paralegal at King & Wood Mallesons in London, drafting various documents including witness statements, prepared complex exhibits and proofed lengthy translations. She specialised in supporting China and South East Asia clients including attending a high-value international arbitration to provide supports and identify any "lost in translation" moments in real time. She had also been an advocate/solicitor agent, attending County Courts for a variety of civil cases usually held in chambers before a District Judge, including mortgage possession, return of goods, landlord & tenant, charging orders, and infant settlement cases. She was responsible for own caseload and client relationships. Having worked at solicitors firms. Zhen has an excellent understanding of the business needs and commercial reality of instructing solicitors and clients. She works hard to prepare cases and has a reputation for using strong judgement in making decisions about case strategy at court. She likes to engage with opposing counsel to get a good outcome for her client; and has already gained good understanding of daily procedure and practice in UK courts and is comfortable appearing before a variety of judges. Her work experience includes researching case law on implied indemnity for a pension dispute, discussed the possible legal arguments and produced first draft of advice; attending a wind-up petition and, as a paralegal with solicitors Miscon de Reya in London, acted in extradition proceeding against a well-known Russian oligarch: drafting documents, including witness statements for experts, prepared complex exhibits and proofed lengthy translations. She met all the court and client deadlines and worked in a team of 25 partners and associates. Zhen played an integral role in a joint venture business in their acquisition of a well-known English football team. Zhen used her Chinese language skills to ensure seamless liaison between clients and solicitors and translated a variety of documents, including land registration applications, leases and licences. This again involved working to critical, urgent deadlines, commercial outcomes and solicitors’ in-house style and worked long hours to produce concise, detailed research. 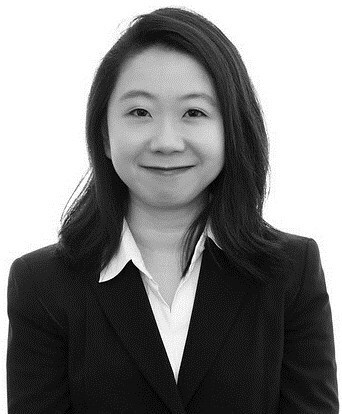 Zhen has also worked with Rustem Guardian LLP as an intern/paralegal within a team of six associates and partners. She drafted inter partes and court correspondence, performed legal research (application of restricted drugs legislation) and prepared witness statements. She also fact-checked submissions, prepared bundles and filed documents at court in compliance with strict CPR requirements. She has had 3-month internships with law firm Jingtian & Gongcheng in Beijing, US law firm Bryan Cave LLP office in Beijing and the Supreme People’s Procuratorate of the People’s Republic of China (Courts). This included researching M&A, corporate governance and contracts; gaining a knowledge of international legal environments; briefing partners on findings. Prepared materials for client meetings using English-Mandarin-Chinese fluency; ensuring client satisfaction through timely communication and swift responses. Zhen was involved in producing an advisory report for Bryan Cave on reform of money laundering and insider trading regulation and wider regulation of foreign financial services companies. “The Power of Investigation into Properties in Civil Enforcement”, Global Law Review, 2011. Cambridge Symposium on Economic Crime, 2010 – present. Jesus College Cambridge, MPhil Development Studies guest lecturer, 2009 - 2014. Cambridge Union Debating Society, Member, 2009 - 2014. Including 10-week intensive mooting / debating course. Outside work, Zhen’s interests are reading, especially Chinese literature, and hot yoga.